North Korea and the United States are obviously deadlocked in their negotiations for a peaceful settlement of the Korean peninsula problems. Denuclearization of the Korean peninsula is the aim, but Chairman Kim Jong Un seems to be procrastinating while President Donald Trump wants a speedy solution to the issue. President Moon Jae-in of the Republic of Korea (south) is working hard to bring the two sides closer together—which does not seem to be easy at this time. 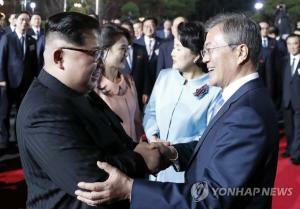 At this juncture, Editorial Writer Joo Sung-ha of leading Korean-language daily, Dong-A Ilbo came up with a seemingly noble idea which both Trump and Kim can use with President Moon Jae-in working between them as a good arbitrator. Joo suggested that Trump and Kim can learn from Singapore and Shenzhen District of China. South Korean President Moon Jae-in and Indian Prime Minister Narendra Modi were set to hold a bilateral summit Tuesday, following a series of encounters that reflected and also promoted the close relationship between the two leaders on the previous day. The Moon-Modi summit was set to follow an official welcome ceremony for the South Korean leader, who arrived here on Sunday for a four-day state visit, according to Moon's office Cheong Wa Dae. U.S. President Donald Trump on Monday voiced confidence that North Korean leader Kim Jong-un will dismantle the regime's nuclear weapons program as promised. Trump wrote the message on Twitter after U.S. Secretary of State Mike Pompeo visited Pyongyang over the weekend to flesh out details of the two leaders' denuclearization deal. "I have confidence that Kim Jong Un will honor the contract we signed &, even more importantly, our handshake," Trump tweeted. "We agreed to the denuclearization of North Korea. China, on the other hand, may be exerting negative pressure on a deal because of our posture on Chinese Trade -- Hope Not!" Hyundai Motor Co. and its affiliate Kia Motors Corp. said Tuesday sales of vehicles in Germany jumped 10 percent on-year in the first half of this year, spurred by robust demand for their environmentally friendly cars. From January through June, Hyundai and Kia sold a combined 92,752 vehicles in the European country. The two accounted for 5 percent of the German automotive market where carmakers sold a total of 1.84 million autos over the first six months, according to data from the German Association of the Automotive Industry (VDA). 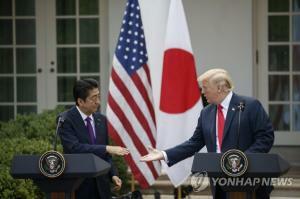 U.S. President Donald Trump has expressed confidence that North Korean leader Kim Jong-un will dismantle the regime's nuclear weapons program as promised at last month’s summit between the two leaders. Trump tweeted on Monday that he was confident that Kim will "honor the contract we signed and, even more importantly, our handshake." He then suggested that China may be responsible for North Korea showing hesitance to move forward on its denuclearization. President Moon Jae-in has met with Samsung Electronics Vice Chairman Lee Jae-yong in India. Moon, who is staying in India for a four-day state visit, attended a ceremony to mark the completion of Samsung's new smartphone plant in the northern city of Noida on Monday with Indian Prime Minister Narendra Modi. 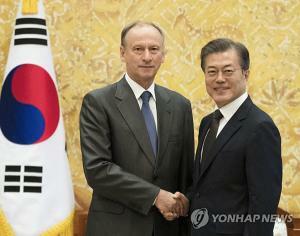 Presidential press secretary Yoon Young-chan said that right before the ceremony, President Moon met with Lee in a waiting room for five minutes. Hong Hyun-chil, CEO of Samsung India Electronics, was also present at the meeting. The ruling Democratic Party has decided to maintain a system that ensures there is at least one female member on its supreme council. DP spokeswoman Back Hye-ryun announced during a briefing on Monday that the party affairs committee approved the decision. The gender quota system applies to an election to select the five members of the party's top decision-making body. If five winners of the vote are all men, the one with the least votes will be replaced by a top female candidate. South Korea's national pension fund operator will implement a set of guidelines to promote its role as the nation's biggest institutional investor in late July as planned, a government official said Tuesday. There has been speculation that the National Pension Service (NPS) may postpone the adoption of the so-called stewardship code for the state pension fund until after August due to a controversial search process for its chief investment officer (CIO) and three vacancies out of the fund's eight key positions in charge of investment. A former U.S. nuclear negotiator on Monday dismissed concerns that North Korea's latest harsh rhetoric could undermine negotiations with the United States. Robert Gallucci, who negotiated a nuclear agreement with North Korea in 1994, said the regime came out with a "much more gentle and careful" statement than usual after last weekend's talks with U.S. Secretary of State Mike Pompeo in Pyongyang. The North Korean foreign ministry statement slammed the U.S. for making a "unilateral and gangster-like" demand for denuclearization in what it said was a violation of the spirit of U.S. President Donald Trump and North Korean leader Kim Jong-un's summit agreement last month. North Korean leader Kim Jong-un has inspected construction sites in the country's northern county of Samjiyon, the North's state-run media reported Tuesday. Kim gave a "field guidance" at the sites, including a township construction project under way in Samjiyon County in Ryanggang Province bordering China, according to the Korean Central News Agency. "He said that the construction of Samjiyon County should be conducted, divided into the areas of education, dwelling houses, modern streets, industry, sports and cultural education, commercial service and tourism, in accordance with the ratified master plan," the KCNA said. On his state visit to India, one of the highlights of South Korean President Moon Jae-in’s schedule was his visit to Samsung Electronics’ newest smartphone plant in Noida. 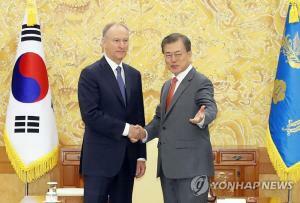 Joined by Indian Prime Minister Narendra Modi, Moon touted the Korean tech titan’s cooperation with local businesses. Samsung’s heir apparent Lee Jae-yong greeted the two leaders ahead of a ceremony held to mark the completion of the new production line. Around 300 government officials of both countries and top brass of Samsung attended the event. Repeated discords among policymakers have amplified concerns over the direction of the Moon Jae-in administration’s economic policies that are criticized for being detached from the reality. Adding to the confusion is half-baked proposals from a number of policy advisory panels swayed by progressive civic group members and scholars. South Korea should play a more active role in facilitating negotiations between the US and North Korea amid concerns over the two countries’ apparent difference over the denuclearization process, Moon Chung-in, a special adviser to President Moon Jae-in, said Monday. Moon Chung-in, a Yonsei University professor, said while US Secretary of State Mike Pompeo’s trip to Pyongyang exposed a gap over how to resolve a nuclear standoff, both countries can address the issue their leaders reached an agreement on during their first-ever summit in Singapore. President Moon Jae-in has finally offered an olive branch to Samsung Group, from which he has been keeping his distance, in the name of eradicating the "deep-rooted evils" of the former Park Geun-hye administration. This is the first time for President Moon to attend an event organized by Korea's largest business group and meet its leader, Vice Chairman Lee Jae-yong. On Monday, Moon visited Samsung's mobile factory in the northern Indian city of Noida. The government is set to ban online video advertising of mail order brides that have been under fire for violating the human rights of foreign women. Most of the nation's matchmaking firms broker marriages between Korean men with women from Southeast Asian countries. According to the Ministry of Gender Equality and Family, Monday, it will initiate an inspection of all types of video advertising by brokers that are posted on YouTube, blogs and internet cafes as well as their own websites by July 20. A neighbor robbed a woman's apartment and beat her up in Seocho, Seoul, Friday. The two lived on the same floor, but did not know each other, police said. The suspect followed the woman to her apartment from the parking lot and told her he had scratched her car. When she opened the door, he beat her up and forced her to withdraw 25 million won ($22,473) from her bank account. North Korean leader Kim Jong-un's private plane has been spotted in the Siberian port of Vladivostok. According to tracking website Flightradar24, Kim's plane arrived in Vladivostok on Monday morning and returned to North Korea three hours later. The Chammae-1 flew over North Korea without using a call sign until it reached the East Sea. The elderly Ilyushin 62M aircraft was not used to take Kim to Singapore and China last month because it can only cover short distances. The quality and quantity of jobs available for Koreans in their 50s improved over the last decade, but worsened for those in their 20s. According to the Korea Employers Federation on Sunday, the number of workers in their 20s fell three percent since 2007, from 3.67 million to 3.56 million last year. But the number of workers in their 50s rose a whopping 84.4 percent from 2.25 million to 4.15 million over the same period. Hyundai and Kia dealers in the U.S. as well as Korean car parts makers sent a letter to the U.S. government begging it to scrap plans for punitive tariffs on imported cars. The U.S. government on Sunday said 26 primary Hyundai and Kia dealers and parts makers said they "contribute to creating jobs" in the U.S. by employing 11,818 American workers. They added that there are 47,000 Hyundai and 38,000 Kia dealers in the U.S., and imposing hefty tariffs would threaten American jobs. On July 8, US Secretary of State Mike Pompeo said that progress had been made during his high-level talks with Workers’ Party of Korea Vice Chairman Kim Yong-chol that were held in Pyongyang on July 6-7 and that North Korea had promised to dismantle its intercontinental ballistic missile (ICBM) engine testing site. 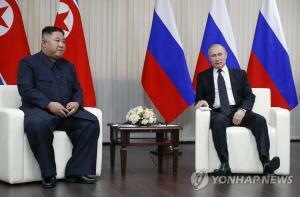 But after the high-level talks, North Korea and the US have revealed that they sharply disagree on the method of implementing the joint statement that resulted from the North Korea-US summit on June 12, including compensation for the North’s denuclearization, suggesting that an intense battle of nerves is in store. 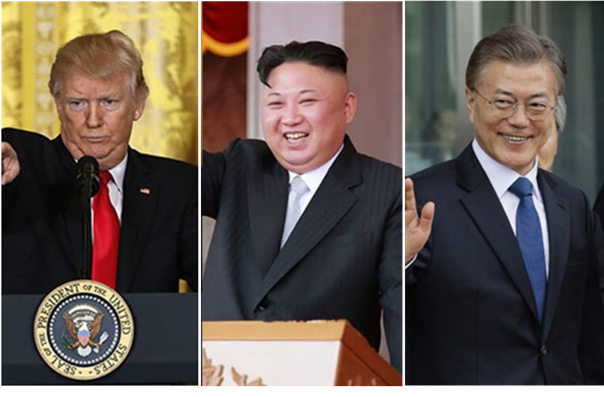 North Korean leader Kim Jong-un and US President Donald Trump’s favorability with South Koreans has greatly increased since the North Korea-US summit, a recent poll has found. North Korea also surpassed China and Japan in terms of likeability. According to a report called “South Koreans’ Perceptions of Neighboring Countries” that was published by the Asan Institute for Policy Studies on July 5, Kim Jong-un had a likeability score of 4.06 points among South Koreans, which was twice as high as the score for Japanese Prime Minister Shinzo Abe (2.04 points). These were the results of a telephone survey of 1,000 adult men and women around the country that was carried out by Research and Research at the Asan Institute’s request from June 18 to 20. South Korea’s highly export-dependent economy would suffer serious damage in the event of a trade war between the US and China upsetting the global trade order, analysts are predicting. As of last year, China accounted for 25 percent of South Korea’s trade. Under the circumstances, a blow to the Chinese economy from intensifying trade conflicts with the US would inevitably have an impact on South Korean businesses involved in exports. With the US applying sweeping import regulations in areas including steel and automobiles, the loss of trade with China would usher things from bad to worse for related South Korean industries. LG Display remained as the top supplier in the global OLED market for smartwatch display panels for three consecutive years since 2015. The South Korean tech titan shipped 10.64 million units of active-matrix organic light-emitting diode (AMOLED) display panels for smartwatches last year, accounting for 41.4 percent of the global market, according to data from market researcher IHS Markit. Samsung Display followed with 34.8 percent at 8.95 million units. The third to fifth places were taken by Chinese companies, namely EverDisplay Optronics (16.2 percent at 4.17 million units), AU Optronics (5.7 percent at 1.47 million units), and Beijing Oriental Electronics (1.5 percent at 380,000 units). South Korea’s current policy of offering visa-free entry for Egyptians will likely be scrapped starting as early as October this year. Facing a dramatic increase in the number of Egyptians flowing into Korea for asylum application and illegal stay, South Korea’s Ministry of Justice decided to introduce a new policy requiring Egyptians to get a “pre-visa” to enter the country. “This year, around half of the refugee applicants were Egyptians. If this trend continues, things will get out of control, so we’ve decided to change the current policy,” explained a government official of South Korea. Pundits analyzed that having gone through the Yemenite refugees' crisis in Jeju Island, the justice ministry has taken a such measure to preempt similar issues involving refugees. President Moon Jae-in and Samsung Electronics Vice Chairman Lee Jae-yong took part in a ceremony celebrating the expansion of a smartphone factory in Noida, south of the Indian capital of New Delhi on Monday. It was the first time Moon as president participated in event held by Korea’s biggest and most important conglomerate. For Vice Chairman Lee, the event was his first public appearance since he was freed from prison in February as he appeals bribery convictions. He was very low-profile during recent trips to Europe, North America and China. President Moon Jae-in emphasized India’s role in his New Southern Policy, a vision of bolstering economic cooperation with South and Southeast Asian nations, as he met with Indian Minister of External Affairs Sushma Swaraj in New Delhi Monday. In his meeting with Swaraj, Moon said, “I have the intention to elevate Korea’s relations with India to the level of that with the four major powers, which is suitable considering India’s global status.” The four major powers refer to the United States, China, Japan and Russia. There is a growing consensus that drastic reforms similar to a dismantling are necessary for the Defense Security Command (DSC). This follows after it was confirmed that the Defense Security Command kept an eye on civilians including the families of the Sewol victims during the Park Geun-hye government and established plans for a garrison decree and martial law in case the Constitutional Court dismissed the impeachment of former President Park Geun-hye just before the court announced its decision. Politicians and people from inside and outside the military are calling for strong reforms to end the political intervention of the Defense Security Command, as well as an investigation on how the command came to establish plans for a garrison decree and martial law. "We have even discovered a queen ant,..." On the morning of July 7 at the Incheon Port container yard in Jung-gu, Incheon, the officials of the Animal and Plant Quarantine Agency, under the Ministry of Agriculture, Food and Rural Affairs, who conducted a close inspection, were surprised when searching the site where over seventy red imported fire ant (RIFA) workers had been discovered the previous day. They found additional red imported fire ants--one queen ant, bigger in size than the workers, sixteen larvae, and over 560 worker ants. The payment of billions of won in special activity expenses for lawmakers was made in a questionable way, making it unclear as to who the final recipient was. As the controversy over the special expenses spread, the National Assembly announced, "We will change the system to improve transparency." On July 5, the People's Solidarity for Participatory Democracy announced that the recipient of 5.9 billion won, a quarter of the total 24 billion won (an annual 8 billion won), which the National Assembly spent on special activity expenses from 2011 to 2013, was simply stated as "Nonghyup Bank (wage-like expenses)." Despite public skepticism over safety and usefulness, South Korea's first hydrogen cell-powered electric city bus will be pressed into temporary service in Seoul next month to test its commercial feasibility. On a route from Yangje, a southern business district, into the center of Seoul, city officials will test a hydrogen fuel cell-powered electric bus in August. The hydrogen bus, donated by Hyundai Motor, uses fuel cells to power its electric motor. It is one of Hyundai's five hydrogen fuel cell-powered electric vehicles (FCEVs) tested in the eastern ski resort of Pyeongchang during this year's Winter Olympics. North Korea suffered a staggering trade deficit last year as exports fell 37.2 percent from a year ago, reflecting prolonged international sanctions that have deepened the isolation of the impoverished country and its economic woes, according to a South Korean trade body. 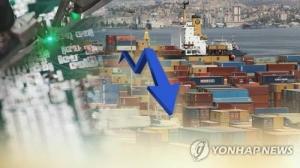 Data compiled by the state-funded Korea Trade and Investment Promotion Agency (KOTRA) showed the North's trade deficit in 2017 widened to $2.01 billion, up 125.5 percent from a year ago. Exports were down 37.2 percent on-year to $1.77 billion and imports rose 1.8 percent to $3.78 billion. Eight officials from the brokerage arm of South Korea's largest Samsung conglomerate have been indicted to stand trial for selling "ghost" stocks paid to employees as dividends in a fat-finger error, prosecutors said Monday. Under a stock ownership plan, Samsung Securities had planned to pay cash dividends of 1,000 won (0.94 US dollars) to 2,018 employees on April 6, but shares were paid due to a keyboard entry mistake. The race to win Chevron’s $2 billion offshore project has been narrowed down to South Korea’s Daewoo Shipbuilding & Marine Engineering Co. (DSME) and a Singaporean rig builder. According to industry sources on Monday, DSME and Singapore-based Sembcorp Marine were shortlisted for the bid from the U.S. energy major to build a floating production storage and offloading (FPSO) vessel. The unit is part of Chevron’s Rosebank project to develop oil fields located 175 kilometers northwest of the Shetland Islands, U.K.
South Korea’s LG Display Co. is developing super-slim built-in OLED TV that emanates sound directly from the display panel in partnership with a local startup. According to industry sources on Sunday, LG Display and Daejeon-based startup SQand Inc. have teamed up to explore the so-called Crystal Sound OLED (CSO) innovation that would put the display technology to a new level with the capacity to emit both light and sound. The pipeline for initial public offerings (IPOs) is packed with heavyweights for the remainder of the year after a thin first-half, raising hopes for much-needed boost to the lethargic Seoul bourse. Major entrants for the main Kospi this year are Hyundai Oilbank, CJ CGV Vietnam, Lotte Data Communication and T’way Air. Kakao Games is readying to debut on the secondary Kosdaq. The five IPOs are estimated to value more than 3 trillion won ($2.7 billion).